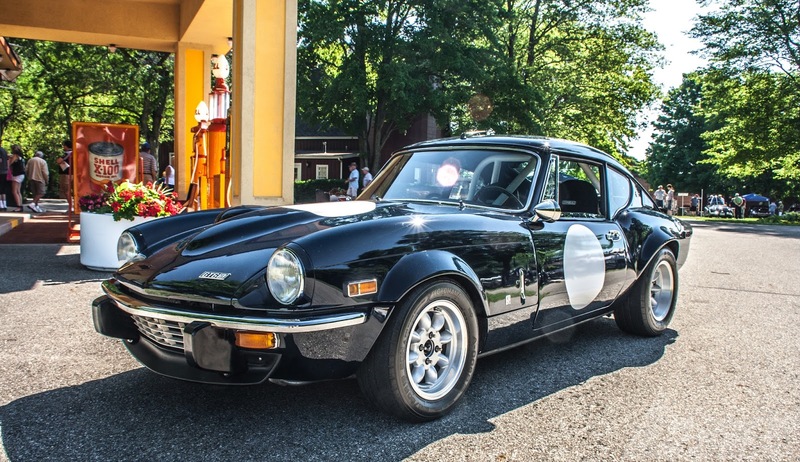 As you saw yesterday, Triumph made some awesome sports cars. None, however, come close to the level of cool that the GT6 gets. Seriously, just look at this. 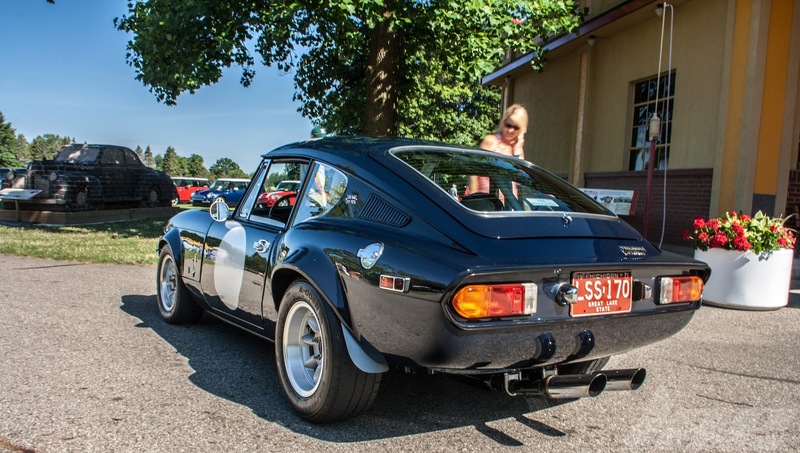 It looks every bit as good as a Datsun 240Z, MGC GT, Toyota 2000GT or the Opel GT. Every one of those cars have kind of a similar shape. Each has it's own unique motorsport heritage as well. But this car...This was so well put together. I love the center-mounted twin exhausts and the widened fender flares this car has. And the racing livery completes the look. The interior is in a class of it's own. 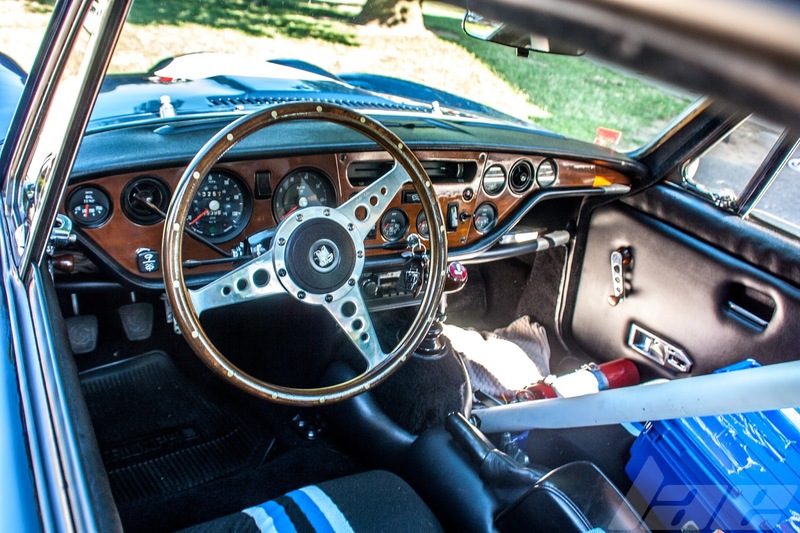 The Wood dashboard, all the gauges, the striped seats, the roll cage, the fire extinguisher and the riveted wood steering wheel just shout "Look at me! I like going fast!" 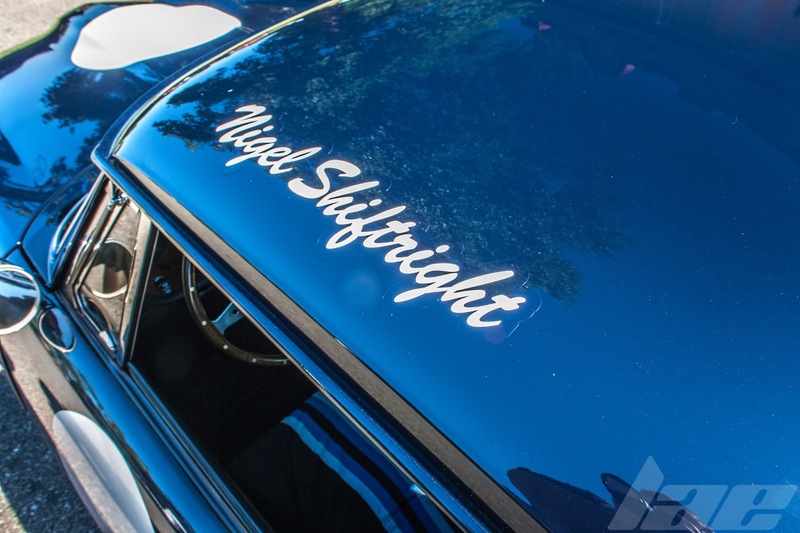 On the roof, I noticed the name "Nigel Shiftright". Any long-time reader of Road & Track Magazine know that Nigel is a fictional character in a comic strip created for R&T by Joe Troise and Phil Frank. All in all, this was a Gorgeous car. Like always, check back often for more content here.